Limerick students are learning about Biodiversity. 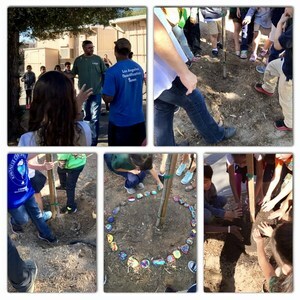 We had students participate in a tree planting ceremony. The students are learning about the diversity among plants and animal species in an environment. The Los Angeles Beautification Team came out to help us learn about trees and the students participated in planting oak trees for our school.